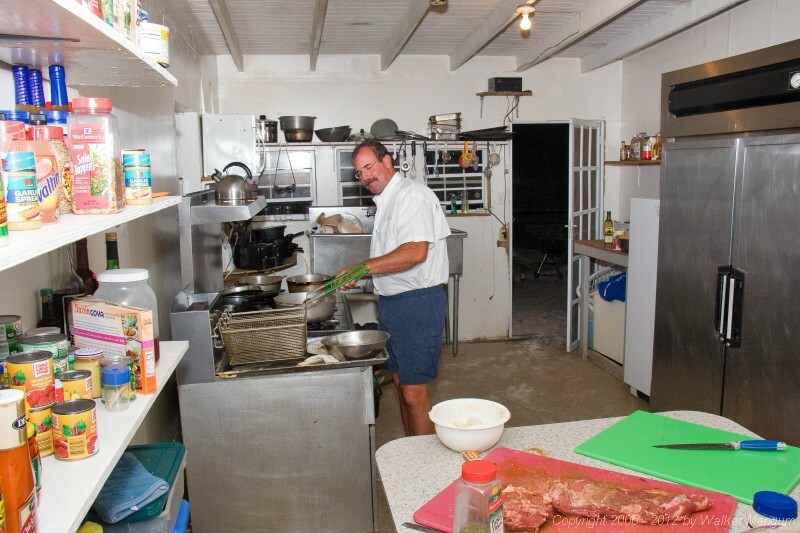 Carlos in the Cow Wreck kitchen. Carlos, his wife Tita, and their two daughters are from Puerto Rico and are frequent visitors at Cow Wreck. Carlos brought over a beautiful angus tenderloin (visible on prep table) that he cooked and shared with the Cow Wreck gang (us included). Thanks again, Carlos - and see you soon, amigo.